The battle of “The Jungle Books” is becoming more and more intense due to many Hollywood stars actively joining one of the two remakes of a legendary animated movie. Just yesterday, Warner Bros’ “Jungle Book” adaptation made their first cast announcement, revealing the Benedict Cumberbatch will take the role of Shere Khan. Joining him are Cate Blanchett, Christian Bale, Tom Hollander, Eddie Marsan, Naomie Harris, Peter Mullan, and Rohan Chand. THR revealed this plethora of casting news over Warner Bros’ “Jungle Book: Origins.” The directorial debut of motion-capture king Andy Serkis will blend CG animation, motion-capture and live action, and boasts a script by Callie Kloves, daughter of “Harry Potter” screenwriter Steve Kloves. 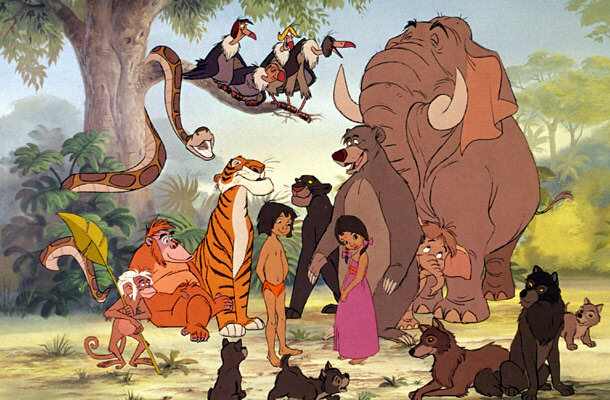 Since Disney is also working on a live action “Jungle Book” helmed by Jon Favreau, it might just help to know which star belongs to which movie. Bill Murray gets to face off against Andy Serkis as Baloo the bear. As mentioned above, Serkis is pulling a double duty as performer and director. First cast in each production were “up-to-no-good-deed” Idris Elba and “has-a-thing-for-Khan” Benedict Cumberbatch, as the man-eating tiger Shere Khan. Playing the protagonist Mowgli will be a pair of relative unknowns. After a worldwide search, Disney chose newcomer Neel Sethi. Of course the lost human boy is taken in by a wolf pack, the leader of which is Akela. Onscreen tough guys Giancarlo Esposito and Peter Mullan have snatched these rival roles. Lending voice to Mowgli’s adoptive wolf mom are two beautiful actresses, Lupita Nyong’o and Naomie Harris. Eddie Marsan will play onscreen mate to Harris’s Nisha. For the voice of Bagheera, the black panther who befriends Mowgli, both production went with actors known for their gravitas. Disney selected Ben Kingsley, while WB went with Christian Bale.